What is Christmas? What does it mean to you and your family? We love tinsel and mince pies as much as anyone, but there are so many people in need of fundamental basics: an education, home, fresh water, and even love.. that over spending on gimmicks and gifts feels less important than ever. This year, we will be embracing traditional Christmas values. Spending less, helping others more. We will buy thoughtful presents for the kids, handpicked from the recommendations on Kinfo app, and donate our time and a little money to a charitable cause. We love singing so one of these concerts will be on the list. If the power of music can transform the lives of others, then we’re sold! Street Child has helped 200k children go to school and 15k families to set up their own businesses, in the world’s greatest deprived areas. The charity is 10 this year, so these three services – two east, one in west London, all with mulled wine and mince pies – will be marking the anniversary. If you aren’t tempted by the Soul Sanctuary Gospel Choir, the Southern Spirit Singers, or the magical feeling of being in the Tower of London grounds after-hours, then hoepfully wishing a better life for vulnerable children around the globe will stir up some goodwill to dig deep. The British married couple that founded this charity originally devised a plan to build orphanages all over the world, but then the kids they met on their travels would beg them for something else: a family, and love. So, the plan changed, to get kids out of orphanages and into more stable environments. Tonight’s seasonal festivities in this lovely Gothic church will include a gospel choir, an award-winning soprano, celeb-watching and a wine finalé. FACT: In 2017 Hope and Homes for Children raised a fantastic £11.6 million. Fundraising events only made up 4% of that, but this a truly heart-warming service (I mean, just how cute are those kids, pictured). Did you see the news this week… ‘That’s Life’ is returning to our screens in January. Brilliant, eh? Before that, though, Esther Rantzen is calling for us all to support her baby that earned her a Damehood, the 24–hour counselling service for children and young people, ChildLine. Singalong carols, chocolate treats, and a Cracker Raffle will be topped off by sterling music performances, all within the beautiful stained glass, Arts & Crafts Movement (the country’s mid-19th century design reform period) setting of this stunning London Anglican church. FACT: ChildLine was set up by Esther Rantzen in 1986. Note, calls made by kids don’t show up on a phone bill. Chelsea’s 950-seat Cadogan Hall is such a perfect, wowee venue to buckle up for a classical Christmas ride. 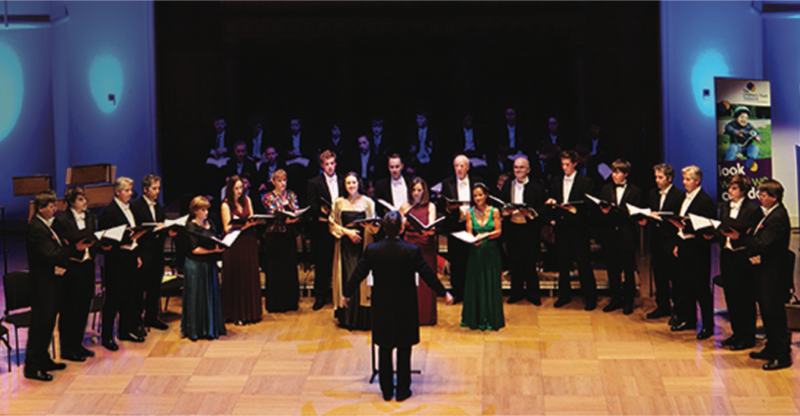 A recorder virtuoso, soprano and choir are joined by BAFTA award-winning impressionist, comedian and actor Alistair McGowan, who is also an able pianist – there is literally no end to his skills. He will be tinkling the ivory keys to raise money for kids with brain injury. Around 40,000 children are affected by such injuries every year in the UK and the Trust provides them with specialist rehabilitation, education and care. They seek over £8 million support every year to do so, so this, their 27th festive concert, will make a small dent. FACT: The brain recognises and responds to the patterns in music, which can create new pathways in the brain for communication and tell the body how to move after injury. 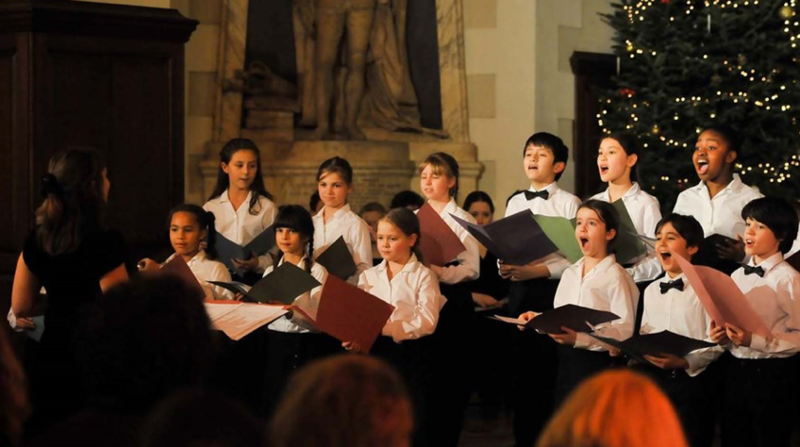 London’s Great Ormond Street Hospital Charity’s annual festive celebration will lead a congregation in singing for vital heart and lung machines required by their special care units. The original hospital opened in 1852 with just 10 beds. In 1858, author Charles Dickens did a public reading of ‘A Christmas Carol’ and raised enough money to buy them the house next door. Now, with over 330 beds it needs our support. If men of history could be so generous, the least we can all do 160 years later is belt out carols. Reception ticket holders decamp to mingle with celebs for champagne and canapés at the 5* Jumeirah Carlton Tower hotel afterwards where there will be an auction. FACT: Author JM Barrie donated the rights of his bestseller Peter Pan to the hospital in 1929, which is why there’s a statue outside its main entrance. The 22-year-old charity funds countryside breaks and one off activities for vulnerable 5-12 year old carers, giving them time out from their responsibilities at home, introducing them to fun childhood experiences. Profits from tonight at this Covent Garden church (built in 1633, also known as The Actors’ Church’ because of their long association with the theatre community) will buy Christmas and birthday presents for each Honeypot child. Performers are The Portobello Live choir and West End Kids, a musical theatre song and dance troupe for young talented singers and dancers who have appeared before royals, festival crowds and at state banquets (if your kid’s an all-singing, all-dancing natural check out their website, they are holding auditions this weekend). FACT: It has been No. 10 Downing Street’s charity of 2018, although we note the website says it receives virtually no money from the government. Let’s help them.